Special Weather Alert! Click HERE for more info about our moving our Sunday, Dec. 9th at 3pm Tea with Clara to Friday, Dec. 14th at 5:45pm, because of inclement weather! Saturday, December 8 at 1:45pm - sponsored by Kaley Orthodontics - SOLD OUT! Join us for the tea party of your little one's dreams! This year's theme is Clara in the Land of the Snow. Dine on delicious tea and sweet treats. Mingle with Clara's friends from the ballet. Learn Clara's lullaby dance and take home a unique and playful treat bag with craft. Of course, our host Clara will make an appearance, so be sure to bring your camera for photos and autographs. Both of our "Tea with Clara" events Sold Out early last season, so be sure to purchase your tickets as soon as possible! This event last one hour, which gives you 15 minutes to find your seats for the following performance of "The Nutcracker." Tickets are $22/person plus taxes and a $3 Theatre Facility Fee/ticket. 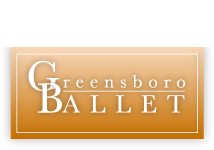 *There are no discounts for this event as this is a Fundraising Event for the Greensboro Ballet. **You must purchase both a Tea with Clara ticket & a Nutcracker ticket when purchasing your tickets. Tickets go on at the Carolina Theatre Box Office. IN PERSON: 310 S. Greene Street, Greensboro, NC. Hours: Noon-5pm, Monday-Friday.